* Joe Pinon, COO, SFM Services , Former SENIOR DIPLOMAT/ U.S.
SECURITY- Miami Dade County and SoFl IMA Board director. Registration and parking instructions to follow. We thank Jim Murray, NCCI for hosting the venue. 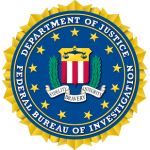 InfraGard is a national information sharing program between the Federal Bureau of Investigation (FBI) and the private sector. There is no monetary cost to join yet its benefits to government and private industry are great. The mission of the InfraGard South Florida Members Alliance is to assist in protecting our region’s critical infrastructure from threats and attack, either physical or cyber. • Training and education of our membership, and community outreach. Armin Torres has been chosen by the National Board as an Information Technology Subject Matter Expert (SME). Members, Call for nominations for candidates for the Board of Directors positions. Do you want to give back to the Security Organization and the community that has given you so much? If you or one of your colleagues answer yes to the above than this is a fantastic opportunity to become an integral member of your InfraGard Executive team. This spring we will be electing four (4) board members. You may self-nominate or nominate any other member (with their permission) as candidates. They must meet the qualifications below. All Officers of InfraGard South Florida Members Alliance must be in good standing as a Member of Record for at least one year. All Board Members of InfraGard South Florida Members Alliance must be in good standing as a Member of Record. No Board Member shall hold more than one (1) office at a time. Nominees can be nominated by any legal member or self-nominate. Nominees will be vetted by the nomination committee. The Board Members shall be elected by majority vote of the Members. Their term of office shall begin one month after elections. On behalf of the InfraGard South Florida Members Alliance we want to thank our sponsors without which this conference would not be possible.